FUEL STAINSLight amber colored effect that dries with a satin finish. 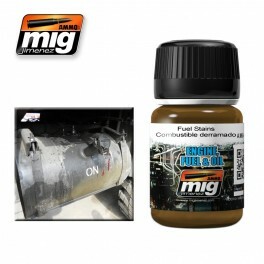 Can be used alone or in combination with other effects to create a range of spilled fuel effects. Apply with a brush in different lays of different intensities for the most realistic effect.